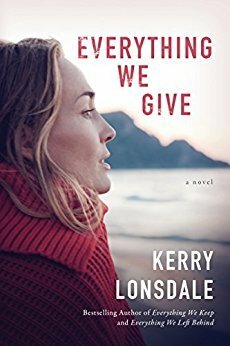 After what seems like a long wait, the third book in the trilogy by Kerry Lonsdale is publishing in July. So that you are ready for book 3, I thought I'd post my earlier reviews of book 1 and 2 along with my review of book 3. If you haven't read these books, I can highly recommend them. On Aimee's wedding day, she is at the church but instead of a wedding, she is at her fiancé's funeral. 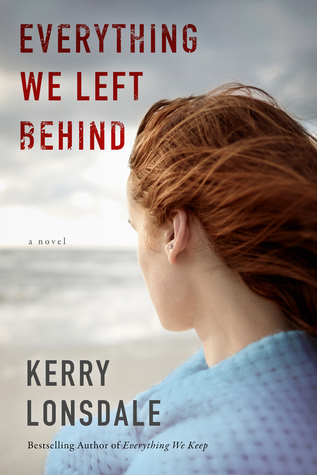 Her boyfriend had to make a trip to Mexico before the wedding and he disappeared from the fishing boat he was on. Aimee, of course, was devastated - she and James had been friends since childhood and he was part of her memories of growing up, even before they fell in love. He was going to quit the family business and paint and she was going to open a restaurant. Now, none of it was going to happen, so Aimee lost not only her husband-to-be but also all of her plans for the future. Luckily she had two very good friends who helped her handle her life. Just as she is starting to feel stronger, a stranger shows up and tells her that James is still alive. She can't move forward with her life if this is possible and the story becomes her quest to find out the truth. Prime members (start your free trial) can read and listen to this book for free. I have been anxious to read this book since I finished the last page of Everything we Keep last summer. Thanks to the author for an early copy to read and review. Everything we Left Behind was all I hoped for and more. Once I started it and I was back in the lives of these characters I didn't want to put it down until the end. Warning: you really need to read Everything We Keep BEFORE you read Everything we Left Behind. This book was mainly about James/Carlos life and how he coped after waking up from a fugue state and found out that he had basically lost over 6 years of his life. After 6 years living in Mexico as Carlos, an artist with 2 young sons, he had no idea that he was really James a rich young American who had been engaged to be married. When he woke up from his fugue state, he had no memory of his life as Carlos and didn't even remember his sons. As he struggles to connect his two realities, James has to learn who he can trust and who it is safe to love. This novel is told in alternating chapters with one chapter being present-day James and the next chapter 6 years earlier when he was Carlos. The author handles this very well and it fills in all of the information in the storyline. I loved the first two books in this trilogy and have been waiting patiently (not too patiently) for the final book. WOW - what a fantastic book. To get the absolute most enjoyment out of this book, you really need to read all three books in order. Everything We Keep was mainly Aimee's story, Everything we Left Behind was James' story and Everything we Give is Ian's story - and what a story it is! 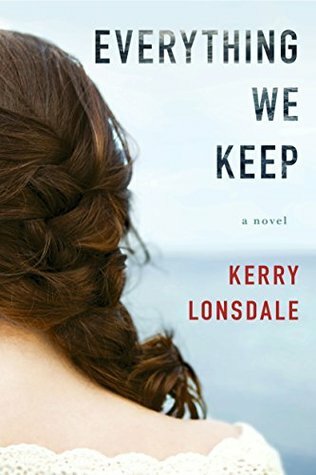 Even though Ian is a successful photographer with a wife that he loves and a daughter he adores, he is haunted by his younger years and a mistake that he made that drove his mother away and destroyed his family. With James back in the picture and finally getting a major photography trip for National Geographic, Ian has to decide whether to ignore his past or try to fix his past mistakes at the chance of ruining his future. Everything We Give totally wraps up all of the issues from the first two books plus gives us a close-up view of Ian's life. This was a fantastic book and the perfect ending to the trilogy.